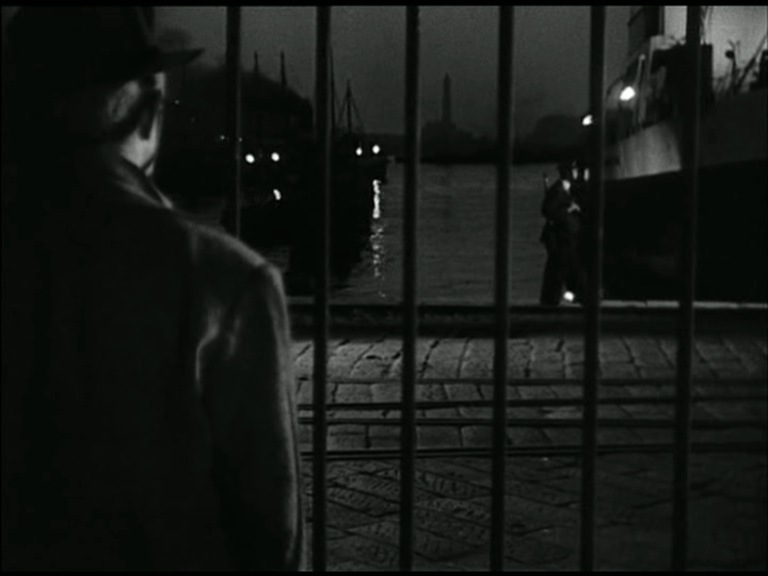 Having very much enjoyed Claude Autant-Lara’s L’AUBERGE ROUGE, we turned with enthusiasm to LA TRAVERSEE DE PARIS aka FOUR BAGS FULL unofficially aka PIGS ACROSS PARIS, made in 1956 but set during the Occupation. 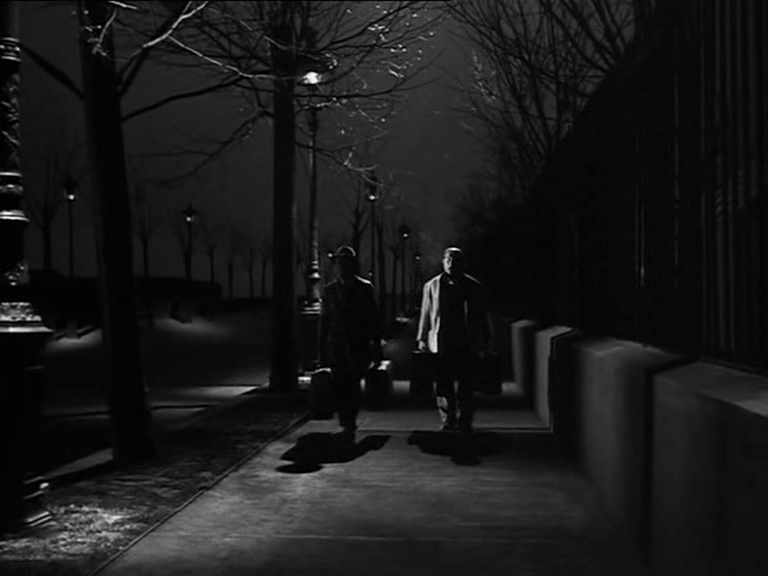 Black market meat man Bourvil reluctantly takes on a new partner, Jean Gabin, to help him transport a newly dismembered pig across town in four suitcases to a buyer in Montmartre. 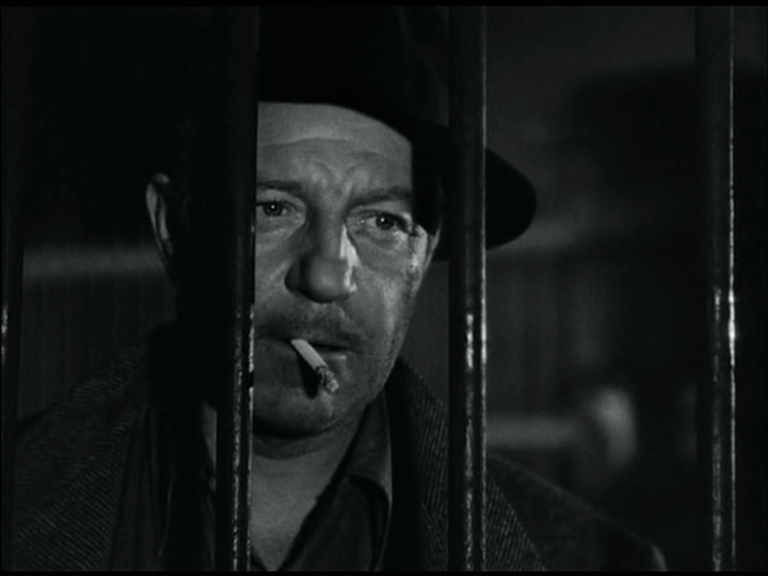 Gabin proves to be a temperamental and dangerous co-conspirator in the midnight meat trade. 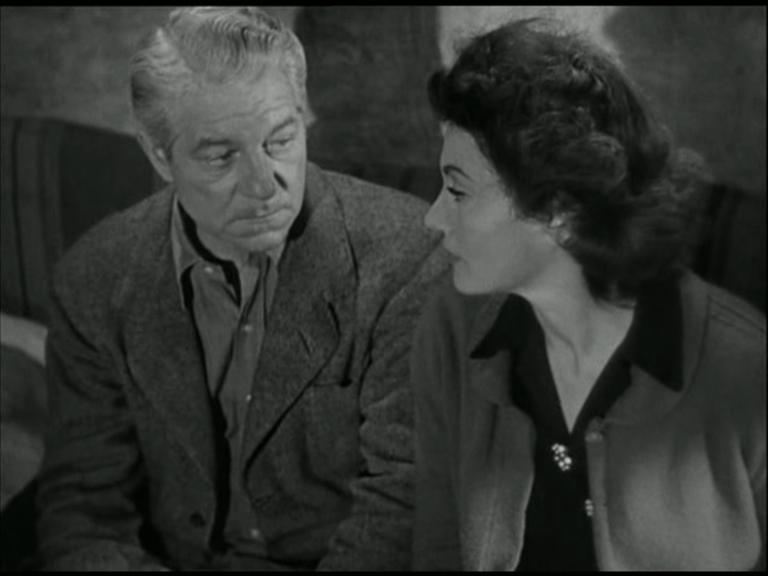 When did Gabin change from the muscular hero of MOONTIDE, whose physique impressed me no end, to the bulbous curmudgeon here? He looks like a Drew Friedman cartoon of Gerard Depardieu. Still, his ability to explode like a fleshy Hindenburg is undiminished by the passage of years and the accretion of bulk. 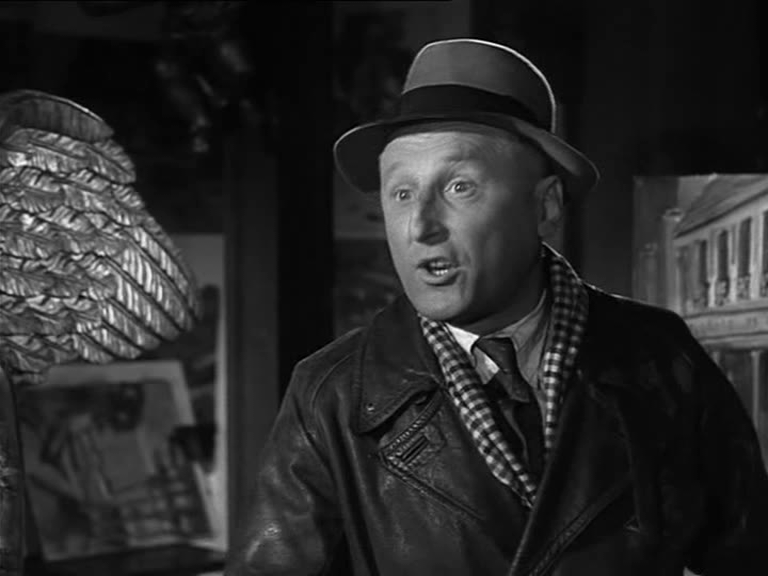 Bourvil is both a droll comedian and a gifted actor, well-matched in his hangdog lassitude to his ebullient companion. 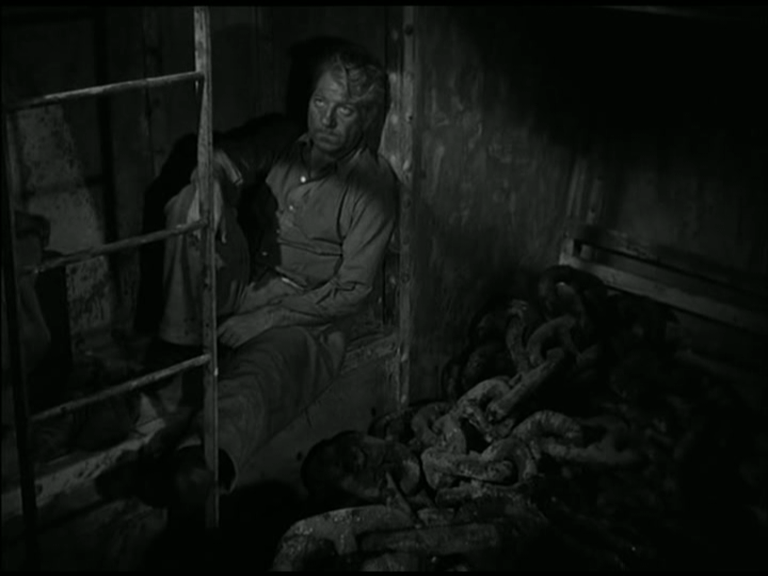 The script, by Jean Aurenche and Pierre Bost (heroes of Tavernier’s wartime film industry saga LAISSEZ-PASSER, and regular screenwriters for his films) juggles the dark and the light with surprising dexterity and daring. Autant-Lara, late in life, became a far-right member of the European parliament and was successfully sued for Holocaust denial. 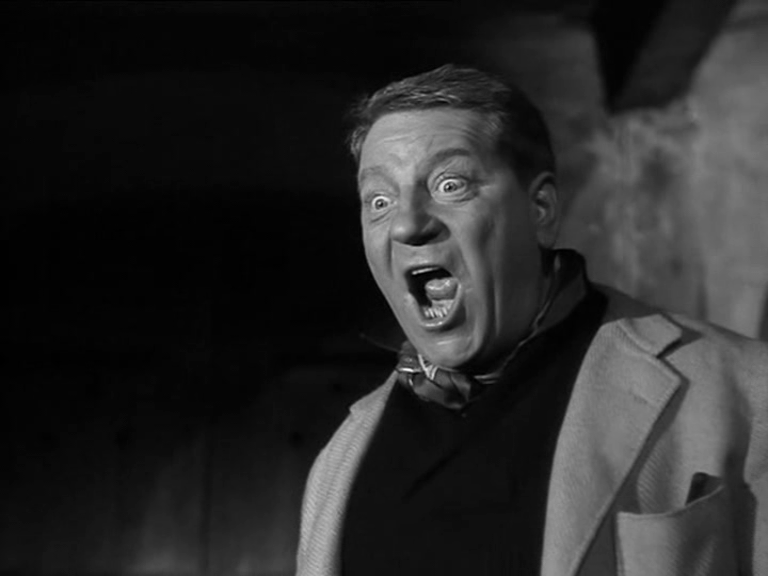 His writers steer him away from any such monstrosity, But there’s an edgy moment where Gabin is threatened with denunciation by nasty bartenders and then threatens to denounce them in turn for employing a Jewish girl as slave labour. It’s the first strong hint that things are going to turn dark. And they do — but this is followed by the worst tacked-on Hollywood ending since UNCLE HARRY. Best to disregard that altogether, which leaves us with a shockingly grim slap-in-the-face of a conclusion. Much better.